The latest page from my sketchbook. 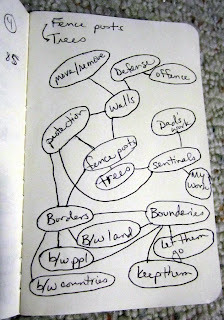 I've been thinking about trees and fence posts and borders and boundaries and relationships between people. I may redo this page on a larger scale so I can add more, or I suppose I could use multiple pages. 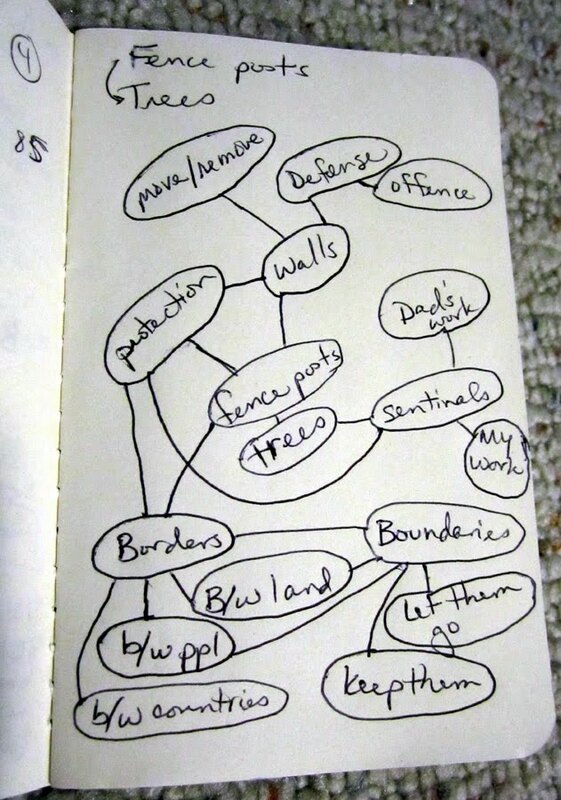 So many things are connected and circle back and around each other.